Sturgeon River Paddlesports in downtown Wolverine is a full service livery offering Kayak, Canoe, Raft and Tube rentals on the upper portion of the Sturgeon River. Have your own equipment? We also offer shuttle services as well as outfitter supplies to make your next float a memorable adventure! 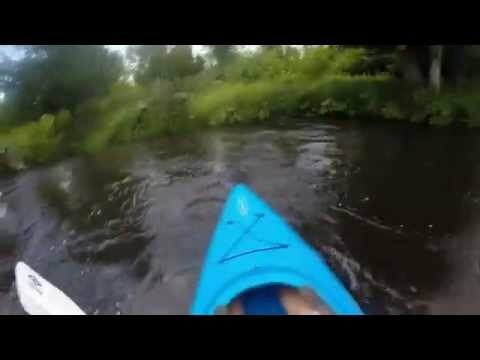 With an average descent of 14 feet per mile, the Sturgeon River is the fastest flowing river in Michigan's lower peninsula. Rising in Otsego County near Gaylord and flowing into Burt Lake, the spring fed waters of the Sturgeon offer a refreshing escape to paddle, swim or fish the hours away. With over eighteenteen years experience outfitting and guiding paddlers on the Sturgeon River, we offer our customers helpful skills, tips and techniques to make your river trip the best one possible. Centrally located in Northern Michigan, we are conveniently close to Gaylord, Indian River, Boyne City, Petoskey, Harbor Springs, Cheboygan, Mackinaw City, Pigeon River Country State Forest and the North Central State Trail. Whether you're here for the week, the summer or the long haul, Sturgeon River Paddlesports is close to where you pitch your tent. Your Sturgeon River adventure begins here!